Involved DHS mom reached out to the @TheEllenShow asking for a little extra love for an outstanding Dunwoody High School program. It's not every day that I tweet out to celebrities asking for financial assistance for school programs, but today was I touched by an involved friend & DHS parent who did, therefore I followed up to make sure the full story of the Dunwoody High School Wildcat'fe was told and that the love we show each other in our community was highlighted. Below was the text I sent in the application and Ellen if you are reading this, I'm looking forward to that hug. 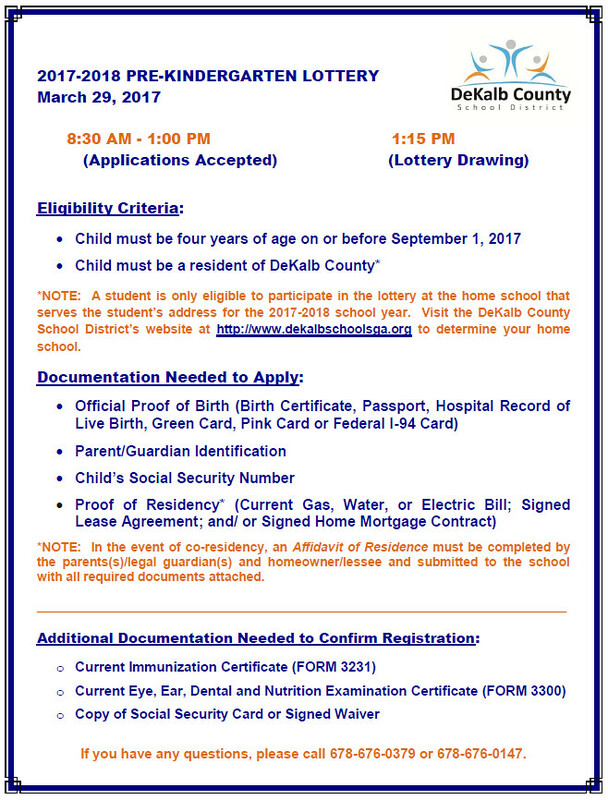 Dunwoody High School, is a DeKalb County high school located in Dunwoody, GA and like all schools, it has limited funding and provides for basic learning but there is a program there that needs a little extra attention. The Dunwoody Wildcat'fe is a small cafe run by the special needs students. The program has totally outgrown the small oven, small refrigerator and the one coffee pot has to make about 8 gallons of coffee for the 2 hours the cafe is open! We cannot possibly keep up with demand at this point. The Wildcat'fe encourages socialization, work skills, living skills and it supports community activities for our special needs students. A friend of mine, Tina Walden has already nominated the school cafe but I wanted you to see the love we have for our students, therefore I entered not increase the entries but instead to share the videos. Please watch them as they talk to the character of this school and our community. 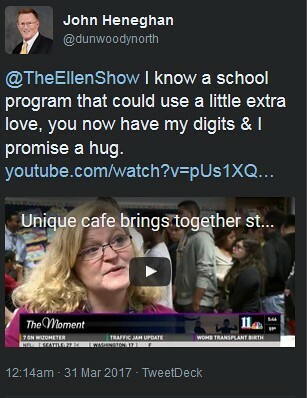 Ellen, if you could please assist us in the upgrade of the cafe, we would be forever grateful. DeKalb County's Warren Technical High School students are asking for financial assistance to attend HOSA Leadership Conference. My good friend Ms. Ashley Doolittle requested that I post this call for help for those who have the financial means to help a good cause. If you are able. Please Help! The students at Warren Technical High School in northeast metro Atlanta face a double challenge: not only do they all have special educational needs, but they also come from some of the lowest-income households in the region. Take Bobby (not his real name). His family is homeless. Or Keisha, who is one of 11 children of a single mom. Despite these impossible odds, Bobby and Keisha along with two other fellow students just won top honors in the State of Georgia for demonstrating superior personal care, life support skills, and speaking and interviewing skills. This achievement has earned them a coveted spot at the HOSA Leadership Conference in Orlando in June, where they can compete at a national level, make connections with students like themselves, and take the next step toward a mainstream job in the healthcare field. They will also have an opportunity to visit Disney World and experience some joy in their lives. The problem is, these students have to pay their own way, and they don’t have the funds to make the trip. Your donation would give these students a once-in-a-lifetime opportunity to be celebrated for their accomplishments and give them the confidence to know that they can achieve more. 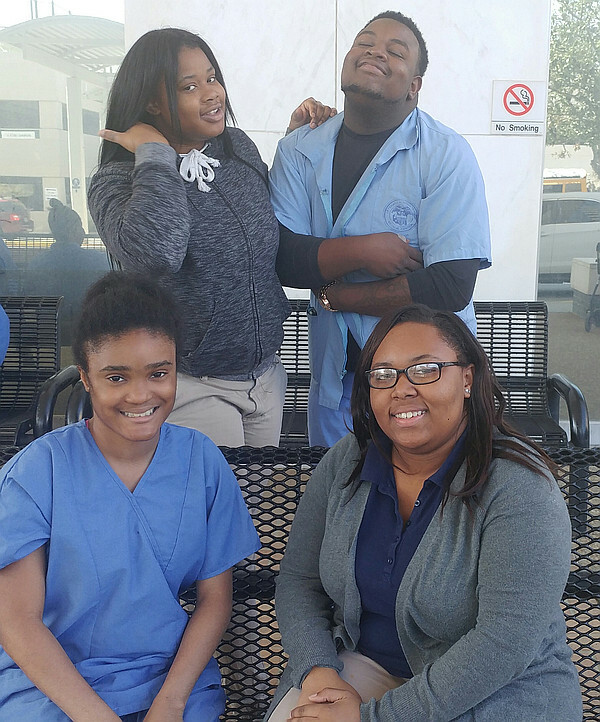 Their teacher, Jacquetta Lindsey, has given her energy and heart for these students to thrive in a not-ideal situation due to their disabilities and financial burdens. The achievements of her students shows that she and Warren Tech are accomplishing their mission of giving students the life skills they need to be successful in the workforce and in life. We have all stayed up many nights thinking of how this trip can be possible for Bobby, Keisha, and their fellow students. They deserve and have earned this chance. Please help them make this once-in-a-lifetime trip! No donation is too small. Warren Technical High School is a unique school providing students with special needs instruction in career, job readiness, and life skills. Students in grades 10-12, ages 16-21, attend Warren Technical School for five and one-half hours each day. One of the programs offered at Warren is Health Care Sciences. The program at Warren Tech offers opportunities for success in acquiring job skills for students who need intensive training and hands on learning opportunities in order to be successful in the workforce. The goal is $4,000. They need money for the conference, rooms, transportation and food for 4 students. Proclamation - 2017 National Service Recognition Day. FIRST READ: Review and Consideration of Proposed Text Amendments to Chapter 27. SECOND READ: Updates to the City's Erosion and Sedimentation Control Ordinance. Resolution Amending the 2016 Operating Budget. Resolution Amending the 2017 Operating Budget. Adoption of a Stormwater Inspection and Maintenance Policy. Approval of $2,500 Membership Fee for Peachtree Gateway Group (Brookhaven, Chamblee, Doraville, Dunwoody). 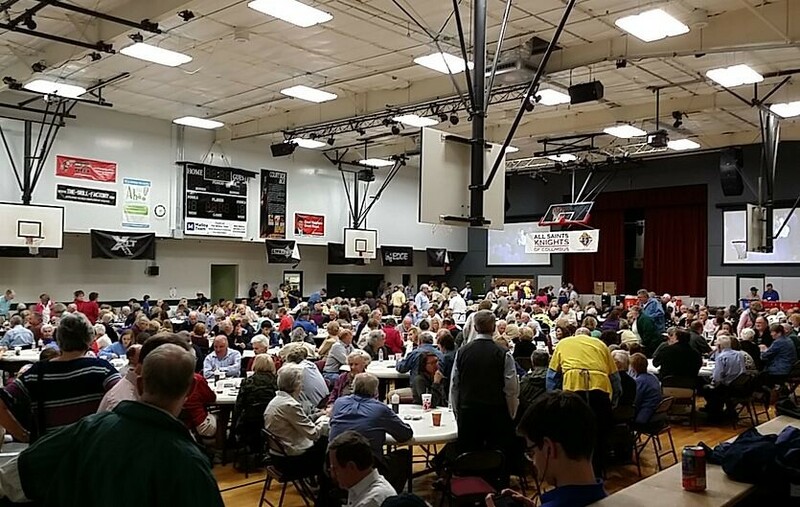 All Saints Catholic - Friday Night fish fry feeds 1,400 meals in one night in Dunwoody. Have you tried it? Every Friday during Lent, the gymnasium at All Saints Catholic Church transforms into the largest restaurant in the city, serving upwards of 1,400 people between the hours of 5 p.m. and 8 p.m. While standing in the long line to give your order at the weekly Knights of Columbus fish fry, be sure to grab a cold one, too. “You can get beer and wine for $2 for the best happy hour in town,” Stephen Nelson said with a laugh as he grabbed cans and bottles from a tub of ice to serve thirsty patrons. This year the Knights of Columbus are celebrating two decades of serving fish during the Fridays of Lent, the Christian season of prayer and self-denial that precedes Easter. 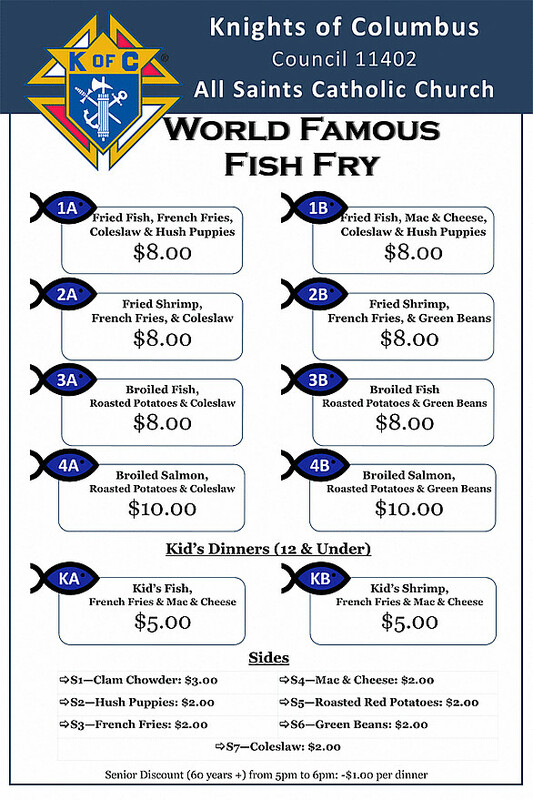 The next fish fry is set for March 31 and the last one of the year is scheduled for April 7. All Saints’ patrons can get plates with French fries, green beans, potatoes and, of course, the fish – fried fish, fried shrimp, broiled fish, salmon and even clam chowder. All the money raised is donated to various charities the church supports, he said. Read more at the Dunwoody Reporter. Members of a Dunwoody mosque say the city’s elected officials and leaders have welcomed them warmly into the community and say they feel safe despite threats to other metro Atlanta mosques in recent weeks. Several local residents, including Councilmembers Lynn Deutsch and John Heneghan, took advantage of “Visit a Mosque Day” on March 11 to check out the Masjid Uthman mosque located in the Dunwoody Park office complex and learn more about Islam. 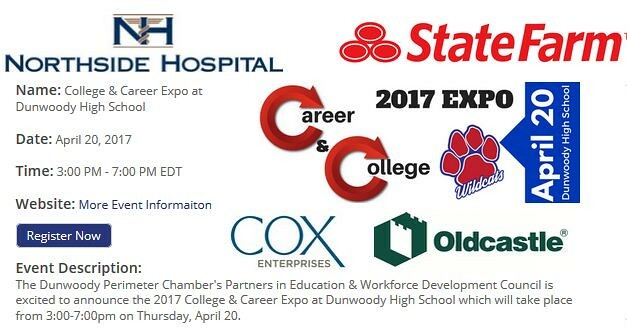 Dunwoody Perimeter Chamber & Dunwoody High to hold career expo for Students & Parents on Thurs April 20th. Trades people wanted as exhibitors! The Expo is designed to give students and parents from Dunwoody High School as well as regional public and private schools the opportunity to view available traditional college and career choices. All regional high school aged students and parents of those students are encouraged to attend. The event is one of the may ways the Chamber's Partners in Education & Workforce Development Council is working to address the need to retain youth in the region and meet the growing workforce needs," said Pam Tallmadege, Partners in Education and Workforce Development Chair and City of Dunwoody Councilwoman. "Broad involvement by regional businesses and educators is key to the event's success and helping to highlight the diverse opportunities available." Thursday April 20th from 3:00-7:00pm. Date/Time Information: Event open to public from 3:00-7:00pm. Free to general attendees - students & parents should click here for more information. 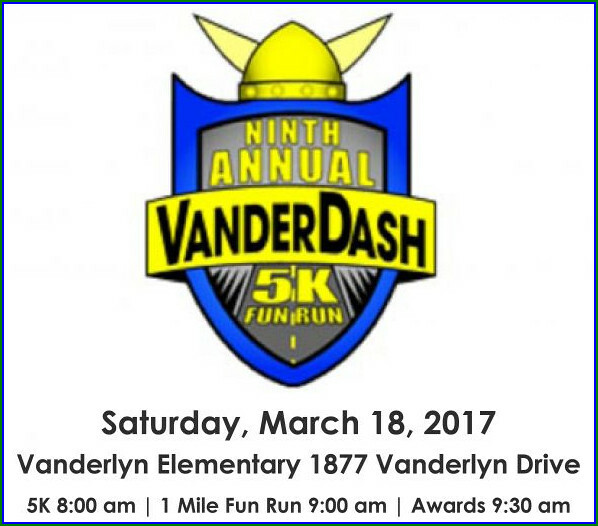 Sponsorships from in-kind to $5,000 are available - learn more by clicking here. Exhibitor booths from $80+ - click here for more information. To register for a sponsorship or exhibitor booth please click the registration link on the top left hand side of this screen. Note: Those wishing to exhibit and/or sponsor must register online. Payment is required at the time of registration. *Limited number of booths available - first come first serve. You've waited four years for this, so make sure you have the required forms completed. Please clean out your closets! 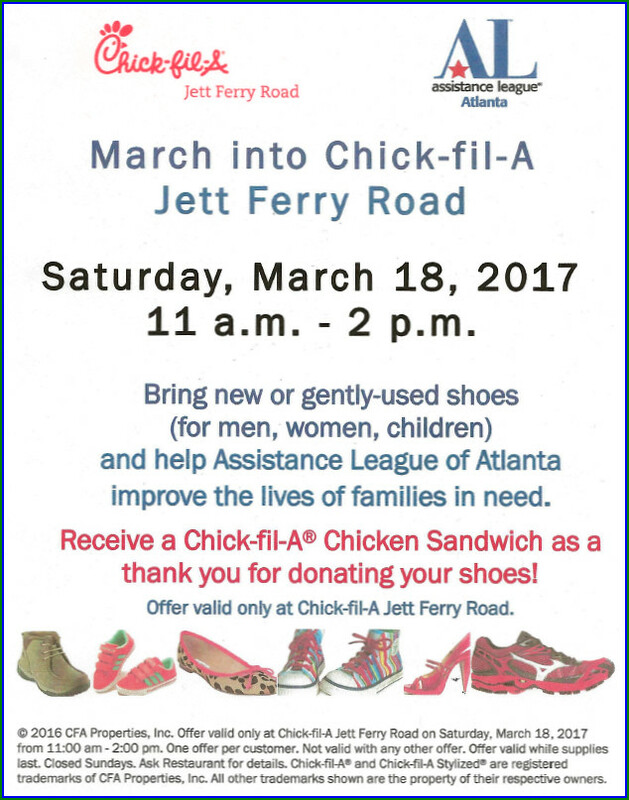 Chick-fil-A is allowing Assistance League of Atlanta to collect shoes at the Jett Ferry location this Saturday. Assistance League of Atlanta will have a special sale for these shoes and buy shoe vouchers with the proceeds. When we send a student a week's worth of new school clothing, this sale will allow us to give them a shoe voucher. We have clothed over 5,000 students since last August and the need continues to increase. We are excited about this fund raiser as it gives us a chance to give something to the people who help us! If Saturday doesn't work, the shoes can be donated at our Attic Treasures Thrift Shop, 3534 Broad Street, Chamblee. Or feel free to collect the shoes and one of us will come get them. A rubber band around each pair would help us keep them together. Carnival Games With Prizes, Game Truck, Laser Tag, Hay Ride, $1 Raffle, Lunch, Kona Ice and more!!! Raffle Prizes: Spring Break and Summer Camp Weeks, Amazing Gift Baskets, and More!!! Average raffle prize is worth over $200! All money raised will be used to help support Kingsley’s STEM program and our playground initiative! Ticket’s available for purchase day of the event - cash or credit card. 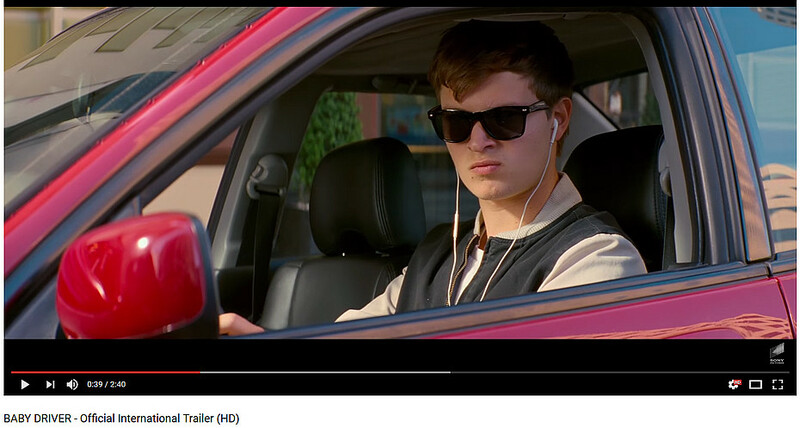 Baby Driver - Dunwoody sets the scene for an August bank robbery & Director Edgar Wright discusses tax credits in Georgia. The City of Dunwoody, Georgia actively markets to the film industry in order to highlight our diverse filming locations as we believe filming brings employment opportunities, tourism, hotel occupancy, and general economic development to the city. 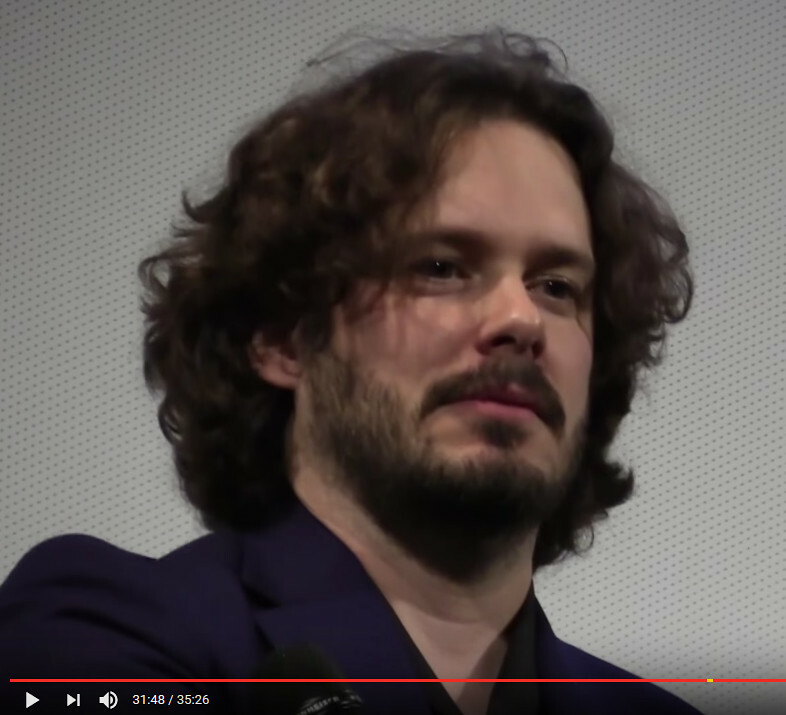 The latest Edgar Wright film was just premiered at the South by Southwest conference & festival over the weekend and it is expected to be the summer blockbuster film when finally released widely on August 11th. Take a look at the trailer above as it is filled with big name actors, high energy action and great music, therefore it shouldn't disappoint if you like this type of film. 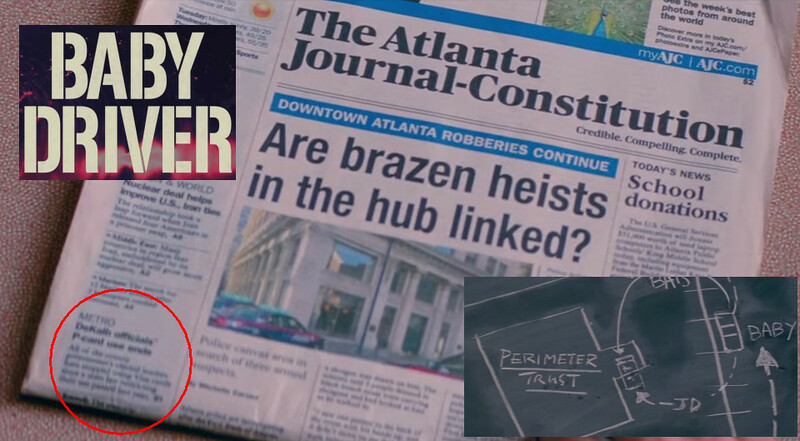 In researching this movie I came across an interview that the Director, Mr. Edgar Wright gave just yesterday where the last question of the interview asked about the filming location of Atlanta. Governor Nathan Deal and members of the State Legislature need to hear this one interview question by scrolling to the question about 31:45 in. Georgia was picked as a location primarily because of the tax credits offered by the State and then it was scenery and location but the primary reason was purely economic. Film and TV production professionals know that Georgia is a Camera Ready state, with highly desirable financial incentives, location diversity, production resources and professional support to make any size production a true success. 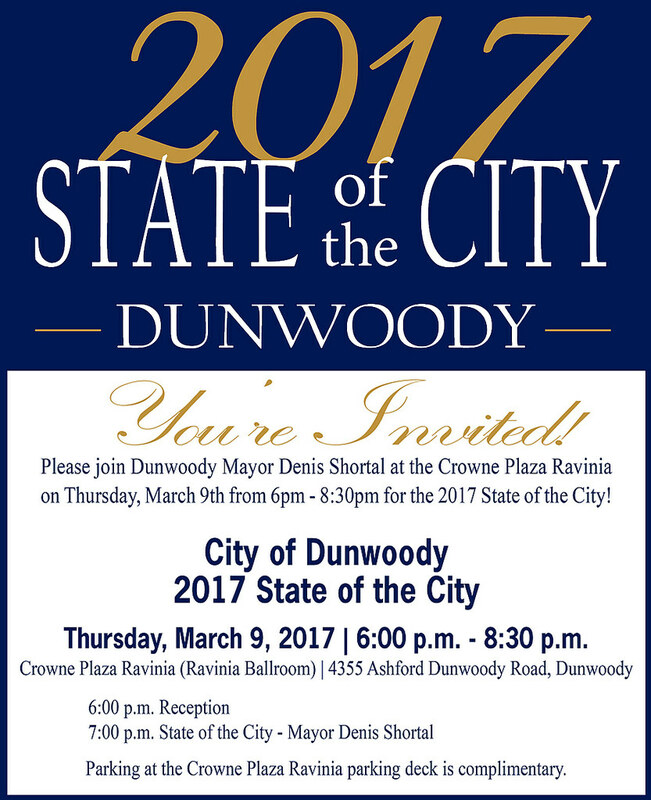 The City of Dunwoody, Georgia has been used in numerous films, we are film friendly and we are looking forward to being able to be the backdrop of future productions. Newspaper side article cracked me up. St. Baldrick's kicks off at the Dunwoody Tavern, Sun March 12 at 4 pm - lift a pint, enjoy the Irish music & dancing then donate a buck or two! Join in the fun - become a shavee. More than $22,300 has been raised towards the cure for childhood cancer at the Dunwoody Tavern since 2015. We will be starting our St. Patrick's week by listening to Irish music, watching Irish dancing and shaving heads to raise funds for childhood cancer research. Donate or become a shavee or visit the Facebook page for more details. Administration of Oath of Office for Jordan Laverty. Recognition of Sgt. Jason Dove for Attaining his Bachelor of Science Degree. Presentation by Dunwoody Preservation Trust. Presentation of Recommendations for Last Mile Connectivity - Full Report. Approval of an Amendment to the 2016 Resurfacing Contract with Baldwin Paving. Approval of a Contract Amendment for 2016 Pavement Inspections. Approval of the 2017 Paving Contract. Approval of a Contract Extension with Georgia Management Agency (Roadworx) for Road and Stormwater Maintenance. Approval of a Contract to Optech for Road and Stormwater Maintenance. Stormwater Funding Approval - 2357 N Peachtree Way. Resolution Appointing Member to the Volunteer Coordinating Committee - Sam Lucius. Resolution Authorizing an Amendment to the 457(b) Plan to Allow Elected Officials to be Eligible to Participate in the Plan. SECOND READ: Lang Real Estate Services, LLC, c/o Jacob Lang, on behalf of DAVECHEV, INC, owner of 5465 Chamblee Dunwoody Road, Dunwoody, GA 30338, seeks the following Special Land Use Permits from Chapter 27: a.) 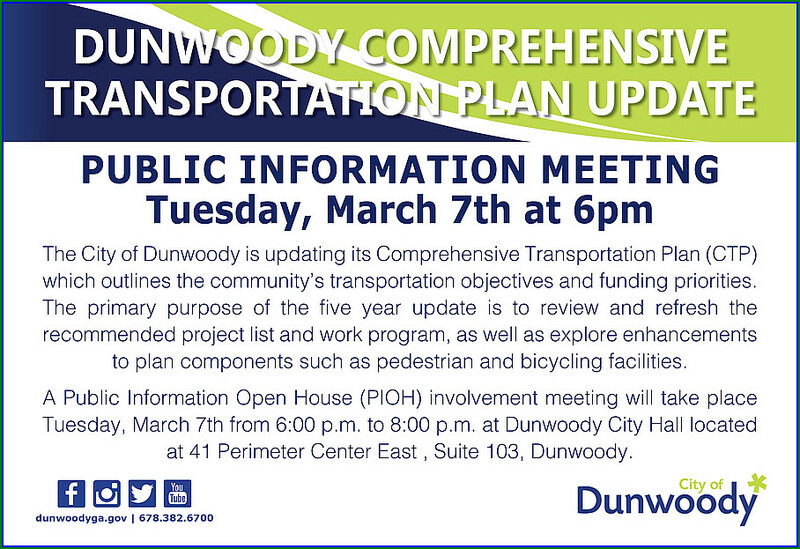 Section 27-97(g)(1) to exceed the maximum allowed parking in the Dunwoody Village Overlay District; b.) Section 27-97(i)(3) to reduce the pedestrian zone along the abutting sides and rear of the building; and c.) Section 27-97(k)(1)(a) to reduce the pedestrian “build to zone” requirement. The tax parcel number is 18 366 07 008. FIRST READ: Updates to the City's Erosion and Sedimentation Control Ordinance. Last Mile Connectivity addresses the connections between transit stops/stations or hubs, and final destinations such as residences, offices and retail areas. Last Mile Connectivity addresses multimodal connections within and between activity centers including Perimeter Center, providing people choices other than the automobile for shorter trips, or to connect and complete longer trips. About the Study: The Cities of Sandy Springs, Brookhaven, and Dunwoody, and the Perimeter Community Improvement Districts (PCIDs) have partnered to conduct a study of Last Mile Connectivity in and around the Perimeter area. The study is intended to provide a clear vision for future multi-modal transportation in the Perimeter market. It will identify a consolidated program of investments in bicycle, pedestrian, trail, and roadway facilities, and explore existing and future transit opportunities. The goal is to offer a network of safe, easy, and convenient opportunities for people to complete short “last mile” trips on foot, bike, or via transit. 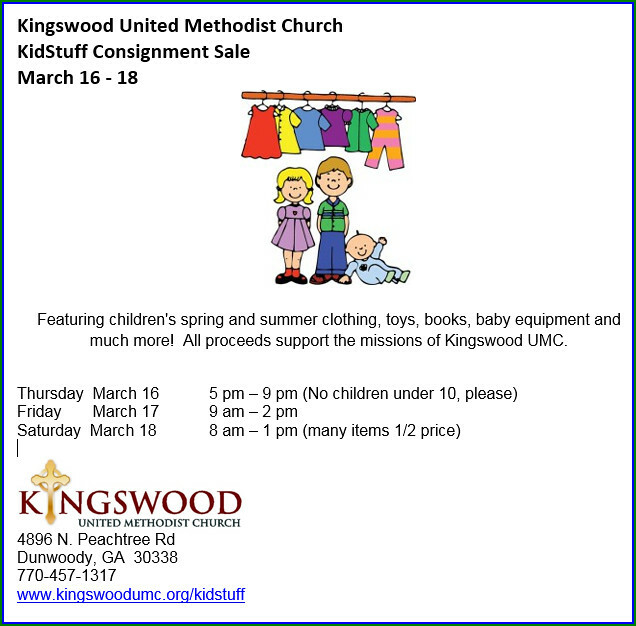 I told a young dad to be the other day that babies out grow clothes and things faster then they can wear them and that he should probably stock up at the Kingswood Sale. Mike are you listening? Dunwoody High School Wildcat Theater presents The Addams Family - tickets on sale now! 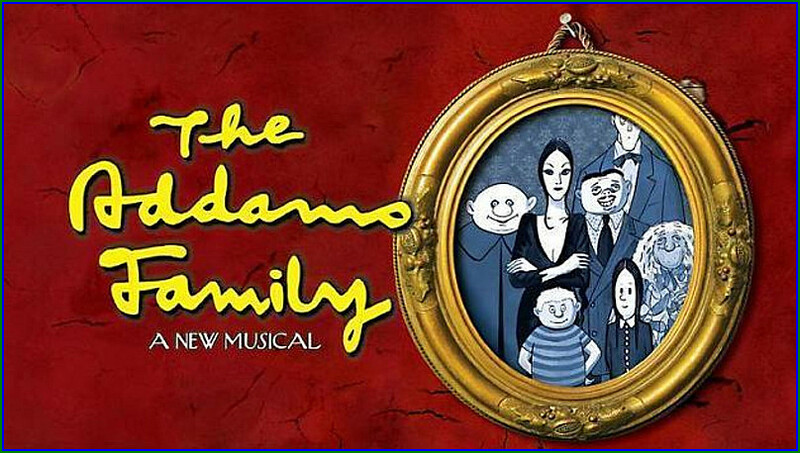 Dunwoody High School Wildcat Theater presents The Addams Family - A New Musical March 16. 17 & 18th at 7 pm. Show tickets on sale TODAY starting at noon! 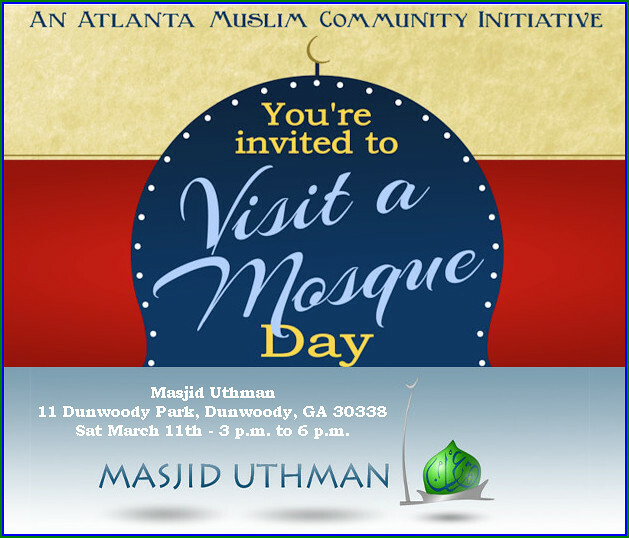 The Atlanta Muslim Community has organized a city-wide #VisitAMosqueATL day on Saturday, March 11th where area mosques will open their doors to the general public. Although most mosques are always open to the public, this is a chance for individuals and groups to enjoin in a casual setting with Muslims from their neighborhoods. Why Our goal is to strengthen communication and understanding across communities and allow people of different faiths to get to know one another on a more personal level. We hope that this is one of many events that you all will join us in to help foster a sense of brotherhood and sisterhood in our communities. Together, we can encourage people of all faiths to learn more about each other and build relationships, which will ultimately strengthen our communities. $15 dollar tickets / good entertainment / great cause! My good friends over at Dad's Bucket List, a Dunwoody organization aimed at promoting fun activities for Dads and their kids, has organized a Saturday evening outing of watching hockey. Premium Tickets are only $15 and the proceeds goes to support "Connors Hope" to assist kids dealing with blood diseases. 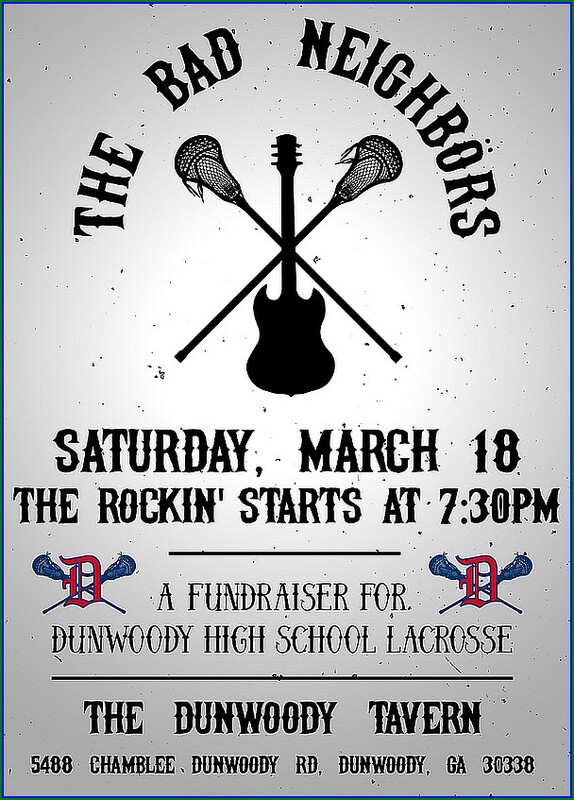 There will be a large contingent of Dunwoody folks in attendance and with this package we will all be sitting in the same area with room to move around therefore come out and enjoy the atmosphere. Join us! It's going to be an exciting night for a wonderful cause. Chamblee High School celebrates 100th year & did you know the Chamblee Marta Station is dedicated to teachers? 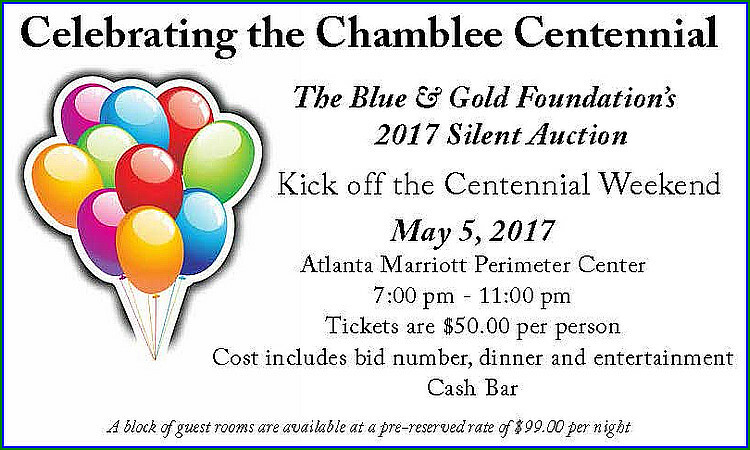 Full information HERE on Centennial Celebration. 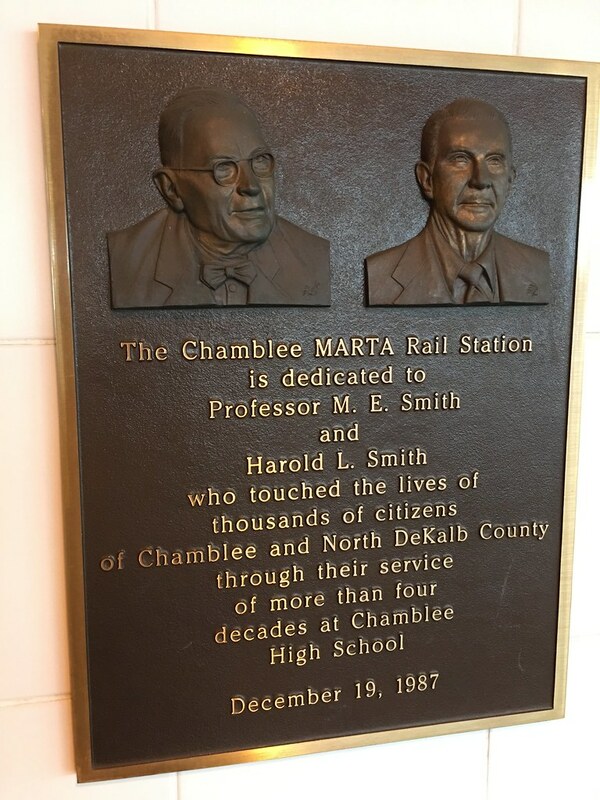 As an everyday rider of Marta, I saw this plaque on the wall awhile back and thought that these two gents needed to be invited (or maybe recognized) at the Centennial Celebration of Chamblee High School. After a quick tweet, I believe Chamblee Principal Dr. Norman Sauce III agrees with me and wants to see every Chamblee Alumni involved! 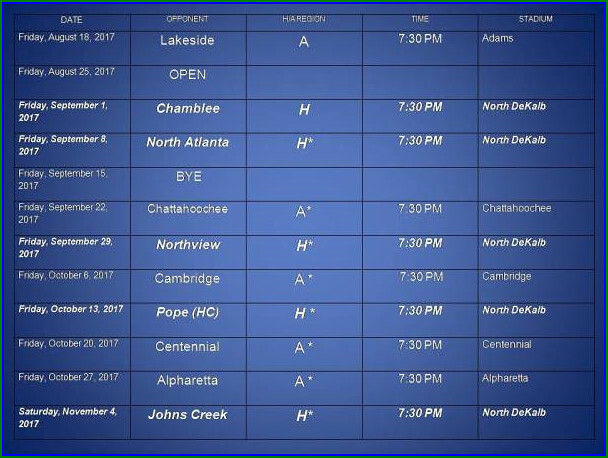 Dunwoody High School Football Schedule for 2017 & notes on the program. Our football players have been working hard and are realizing huge gains. I guarantee you that you will see a stronger version of Dunwoody Wildcats Football this season. AND NOW ….. IT IS TIME FOR OUR LIFT-A-THON! We are asking each player to raise a minimum of $200. This fundraiser is specifically for our summer program and will be used to pay for camps, 7on7 events, etc. On Friday, March 24th @ 5:30 in the gym, we will have the boys complete their Dead-lift and Power Clean maxes. The 24th will be open to all parents and donors to come out and see how well the boys are doing and cheer them on. Please help us to make this event successful. My wife (Denise) and I were eating a Greek salad and calzone at Empire State Pizza and Growlers and everything is always so tasty there. I tell the owner (Todd) that he really should think about bottling his Greek dressing. Empire State Pizza is a Wildcats Football sponsor and the football players like to eat there on Thursday nights for the 50 cent “wings”. Empire Pizza is located at the junction of Peeler and Winters Chapel Roads and is well worth the drive. Please support those that support us. Vera Joyce Amacher, Dunwoody GA - passed away peacefully Sunday, February 26th at her home in Dunwoody at the age of 84. Joyce was born on November 28, 1932 in Atlanta, GA to the late Emmett and Louis McClellan. She was a graduate of West Fulton High School where she was a star of the theater program. She attended the Crawford Long School of Nursing and enjoyed a career in pediatric nursing. Joyce married William C. Amacher on December 11, 1965. Joyce and Bill moved to Dunwoody in 1968 and she became active in the Dunwoody community. Joyce was an involved member of the Dunwoody United Methodist Church and served for many years on the Altar Guild and was a member of the Crusaders Sunday School class. Joyce had a passion for flowers and was a master floral designer. Many referred to her as a professional volunteer. 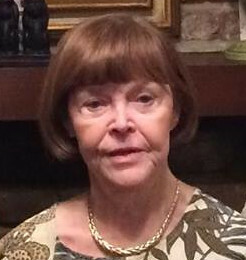 She was a member and officer of many organizations including Dunwoody Garden Club, Dunwoody Homeowners Association, and Dunwoody Preservation Trust. Notable achievements she spearheaded would be the “Fight to Save Dunwoody” in the late 1970s, an effort to maintain the architectural integrity of the Dunwoody Community, Committee member of the first Dunwoody July 4th Parade and later Grand Marshall, the Ashford Dunwoody Road Beautification Project, the Replant the Dunwoody Forest, where 20,000 trees were replanted after a devastating tornado, creating Dunwoody Lemonade Days at Brook Run Park, and Co-Chairing the efforts to save the Dunwoody Farm House from demolition and many, many more. Joyce was a devoted wife, loving mother, and sweet grandmother. Joyce Amacher is survived by her faithful husband, William C. Amacher, a sister Brenda (Johnny) Hardrick, children Zerah (Bob) Wilson, Zelda (Dixon) Patrick, and Zack (Amie) Amacher, grandchildren Samantha, Brenda, Lauren, Elliott, Allison, and Kimberly. A Memorial Service will be held on Saturday, March 4th at 10:30 am in the Sanctuary of Dunwoody United Methodist Church. Service will be led by Reverend B. Wiley Stephens, with a reception to follow. In lieu of flowers, donations may be made to the Dunwoody Garden Club, Joyce Amacher Fund, c/o Donna Burt, 2772 Joel Place, Dunwoody, GA 30360. The Dunwoody Crier had a great overview of what Joyce meant to Dunwoody and I would like to share it below. A stalwart in Dunwoody history, Joyce Amacher, has died at age 84. Mrs. Amacher’s footprints are in just about every part of the city - from the Dunwoody Farmhouse, the wooded median on Ashford Dunwoody Road, the spring festival called Lemonade Days and the mammoth effort to re-plant the city after the tornado of 1998. Vera Joyce McClellan Amacher died peacefully Sunday at her Dunwoody home, a year after doctors told her pancreatic cancer had returned. She also suffered from dementia. The native Atlantan was born in 1932 in Atlanta and married Bill Amacher in 1965. She worked with him in his construction and real estate ventures, but was known for her community efforts. As Dunwoody grew from farmland to a peaceful bedroom suburb to the large edge city that included Perimeter Center, Amacher’s influence was felt through the Dunwoody Homeowners’ Association and its spin off, the Dunwoody Preservation Trust. When Perimeter Mall was being developed, according to longtime friend Bill Robinson, Amacher approached the developers with her plans to place a median in the expanded Ashford Dunwoody Road and plant trees there. Most of them stand today in what has become a major part of metro Atlanta. Her best known effort was the long campaign to Save the Dunwoody Farmhouse. With partner Lynne Byrd, Amacher led the Dunwoody Preservation Trust in community-wide fundraising to preserve the Cheek-Spruill Farmhouse at Mt. Vernon and Chamblee Dunwoody Roads. The effort resulted in enough money to save the house from commercial development and a deal was cut with a shopping center developer to give up the Cheek-Spruill barn, but build a small shopping center around the house itself. The farmhouse is now the chief landmark of residential Dunwoody and a reminder of its rural past less than 100 years ago. When a devastating tornado struck Dunwoody in April 1998, damaging 3000 homes and destroying nearly 1000, Amacher went into action. She formed an organization she called Replant the Dunwoody Forest. Hers was not to be a minor beautification project. More than 25,000 trees were distributed and planted throughout the city. Brook Run Park became a major distribution center for trucks, trees, seedlings and volunteers. The operation, with donations cajoled by Amacher from throughout the state, became a sight-seeing event. One newspaperman wrote that Amacher and Byrd could run just about any Fortune 500 company. “No one has done more for Dunwoody than Joyce Amacher,” said state Rep. Fran Millar (R-Dunwoody). 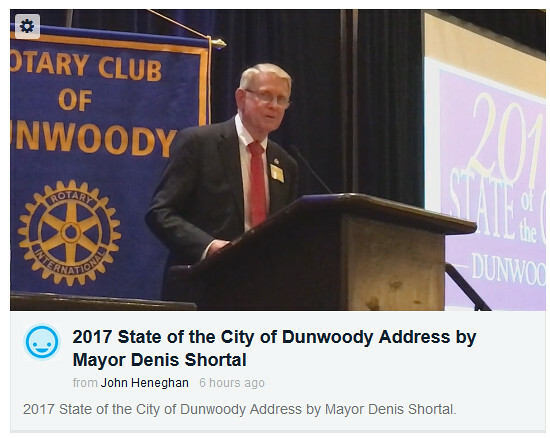 Mayor Denis Shortal stressed her love of flowers and her two terms as president of the Dunwoody Garden Club. “If she saw a bare space of land, she would start to plant flowers there,” he said. To carry on the fund-raising, Amacher and her committee decided to “make lemons out of lemonade.” What is now the four-day festival and carnival in Brook Run Park began as a modest 5k-run and an afternoon of crafts and sweet snacks. The proceeds from Lemonade Days now support the Farmhouse, the renovation of the Donaldson-Bannister Farmhouse at Chamblee Dunwoody and Vermack Roads and many smaller events from lectures to the placing of three Dunwoody homes on the National Register of Historic Places. Until recent years, Amacher’s sense of Dunwoody’s heritage was a resource to the work of the Homeowners’ Association. Amacher is survived by her husband, sister Brenda Hardrick, daughters Zerah Wilson and Zelda Patrick and son Zachary. She leaves six grandchildren and a sister-in-law, Ramona Amacher, and many nieces and nephews. A memorial service will be held Saturday, March 4, at 10:30 a.m. in the sanctuary of Dunwoody United Methodist Church, with a reception following in the Fellowship Hall.